“What’s in Aberdeen?” That’s the first reaction I received on mentioning that I was heading up to this Scottish city for a weekend. Let’s face it, Aberdeen is not exactly the top of any tourist lists and, given the time of year that I was visiting, November, expectations were pretty low. The scene in my mind was all set for grey, dreary, cold and unforgiving – all in all, rather bleak. Even I had to wonder for a second if I was going there for some light-to-medium masochism. But in fact, an overwhelming wealth visits Aberdeen every year. Known as the oil capital of Europe, it’s home to offshore rigs, three heliports and visiting oil magnates. Donald Trump’s jet is frequently spotted when the tycoon drops in to assess the progress of his luxury golf course. With low unemployment and high net worth, the recession, it seems, has scarcely touched this part of Scotland. So the city’s booming for business, but how is it for pleasure? Not quite sure why, but that fact pleased me somewhat – clearly The Aberdeen Mal held esteem with the locals. And with an afternoon of whisky tasting at Glen Garioch and a massage before one very sumptuous steak dinner at the hotel waiting, the weekend was looking rosy. A flute of champagne and a quick bite of dainty lemon sole goujons, accompanied by crispy chunky chips, served well to line my stomach for the whisky tasting that came next. Or at least that’s the story I’m sticking to. 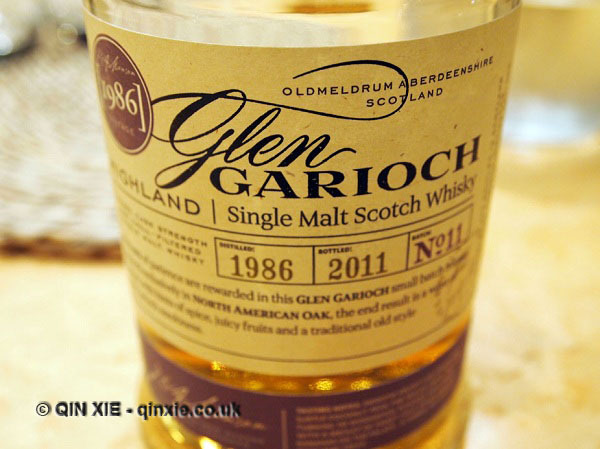 Glen Garioch, pronounced Glen Geery, holds the title for the most easterly distillery in Scotland. Situated in Oldmeldrum and named after the Valley of the Garioch, which grows the finest barley in Scotland, the distillery produces a portfolio of whiskies with sharply contrasting profiles. The Founder’s Reserve was buttery vanilla while the vintages projected a spectrum of preserved fruits. As a child born in ’86, I, of course, have to say that it was a fine vintage. But its softly smoky and lightly peaty allure certainly offers something to savour. A quick tour and tasting later, it was back to the hotel for a relaxing hot stone massage in Le Petit Spa. The masseuse here will knead the knots out of your shoulders leaving you both calm and energised. Perfect, in fact, before settling into a feast in the private dining room. The Chef’s Table at Malmaison is for those who seriously indulge in food. A glass divider softly draped in sheer satin separated the room from the bustling main restaurant on one side and the intense heat of the kitchen on the other. A mellow blend of metallic pewter and rotating scenes from the kitchen, live-beamed to the viewing screen, gives every sense of the action without the pressure-cooker environment. Then there’s the window to the meat room which stores the Donald Russell prime cuts, Malmaison’s meat supplier of choice. The fore-ribs hang by the window, the steaks rest on the butcher’s block and a live butchery demonstration is available if desired. Provenance is clearly high on the agenda. 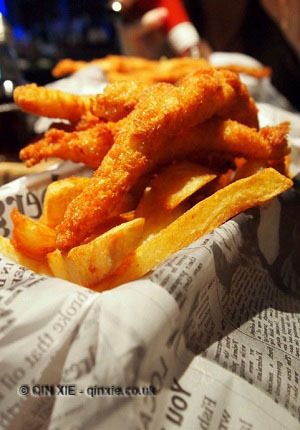 Indeed Malmaison aims to source all its ingredients from within 30 miles of the hotel. I suppose that means game from Royal shoots at the Balmoral Estate 48 miles away is out of the question. But that doesn’t mean my crispy frogs’ legs, Josper grilled rib-eye and theatrically flambéd Alaska were any less impressive. The frogs’ legs were moist and silken, the flavoursome Donald Russell steak was perfectly medium rare and the dessert as pleasing to the palate as to the eye. Such good fare in fact, despite the insurmountable challenge posed by the generous portions, it was impossible to say no. And all were washed down with a robustly fruity Italian red, expertly chosen by the enthusiastic sommelier. A very slow waddle back to my suite to soak up the warmth of a roomy bath was about all I could manage after such a feed, before a restful night’s sleep. Eggs Benedict with smoked salmon braced me for a mid-morning historical tour. Old Aberdeen, made entirely of sandstone, bore the marks of religious struggles and restorations through the ages. As I was led by the guide from artefact to artefact, a fine spray of misty rain descended. The sun, it seemed, has decided that a viewing of sandstone didn’t require its service. The silver lining was that the wintry introduction to the ancient city worked up quite an appetite in me. Back on the cosy banquette of the Malmaison brasserie, an iced seafood platter followed by pan-fried trout was served up along with a much needed pot of Earl Grey. The long lunch allowed just enough time to relax with the Sunday papers and coffee before it was time to head back south, but not before a drive down Union Street to Aberdeen’s illusive seaside where, if the fog and darkness hadn’t set in, whales and dolphins can apparently be spotted. After landing in London, barely a couple of hours later and in time for bed, I considered the weekend. Though only a short stop, it managed to be both relaxed and packed with activity – frankly I’m not sure where the weekend went. And Aberdeen, I guess, had a surprising amount to offer for the pleasure seeker. The best time to visit for beginners is September – crowds get thinner, there are powerful autumn swells and the water and air are still warm. 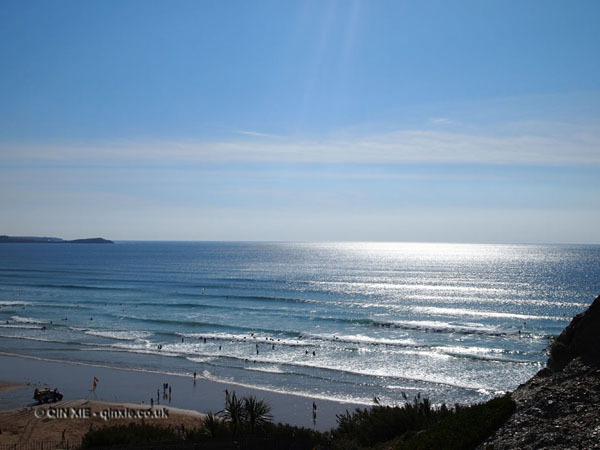 The Surf Club runs daily surf lessons at the beach within walking distance to The Bedruthan Steps and The Scarlet. 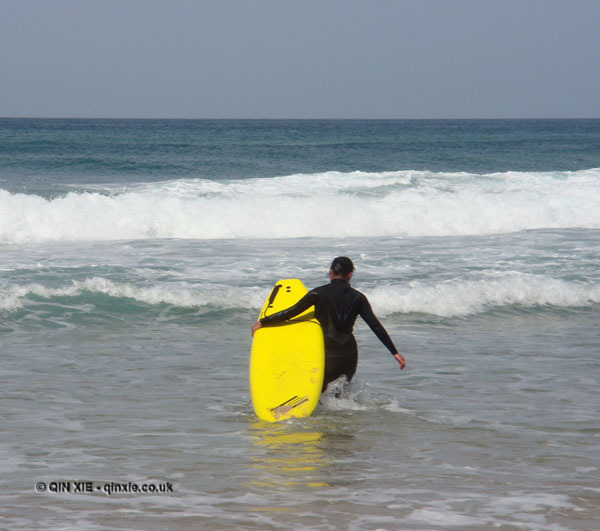 For more information on the lessons visit The Surf Club of Cornwall. For details on accommodation, visit The Scarlet Hotel or The Bedruthan Steps Hotel. The Extreme Academy at Watergate Bay Hotel runs kitesurfing lessons by arrangement and is weather dependent. It’s curious, the life of a Chinese expat – if indeed you can call me that. Despite being born in China and raised in a typically Chinese fashion, to the beating drum of the Tiger Mother, I have lived in the UK most of my life and hold only a British passport. When the Census comes round and asks me how I describe my “national identity”, I want to say “a citizen of the world” or failing that, at least “none of the above”. The reality is I probably copped out with something standard like British Chinese. The thing is, no matter how British you are, if you’re Chinese there’s no denying it. For one, you look Chinese. At best, you can pretend you’re Japanese or something but where’s the sense in that? While I haven’t done my best to embrace my Chinese heritage, I don’t exactly reject it either. I’m Chinese but not really Chinese, like being Jew-ish rather than Jewish. The other thing about being Chinese is that people automatically assume that you know all the best Chinese restaurants to go to, especially when they discover that you write about food. The reality, of course, is very different. I almost never visit Chinese restaurants for fear of spoiling fantastic memories of Chinese food. Also I firmly believe that my mother can do better. 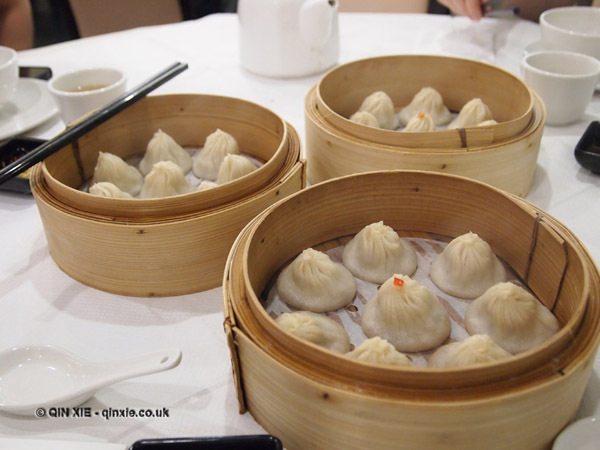 You see back in the 90s when I first moved to the UK, my parents thought that visiting Chinese restaurants was like a taste of home. It was said that wherever there were people, there was a Chinese restaurant and more often than not, it appeared to be true. Unfortunately in those days the food was just so awful – everything seemed to be sweet and sour gelatinous orange blobs, resembling some grossly exaggerated bacterium from Pluto. It really pained me to go to these restaurants and I made a point of avoiding them like the plague. Fast forward a decade or so, I found myself going to my first sort-of Chinese restaurant for a review (Goldfish, Gresham Street) and I wasn’t horrified by it. In fact, I was even impressed by some of it. I was beginning to warm to the idea of Chinese restaurants again – the food has certainly improved and gained an air of authenticity. A few more choice spots later (Yauatcha and the likes), I felt like I was finally ready to step into Chinatown, where there is the highest concentration of Chinese restaurants in London, for something other than the Prince Charles Cinema. Coming from the capital of Sichuan, Chengdu, I am familiar with and often crave its restaurant and street food so I made a beeline for the Empress of Sichuan where spicy is the word. At the Empress of Sichuan, the chilli oil didn’t disappoint and neither did the quality of their Sichuan peppercorns. 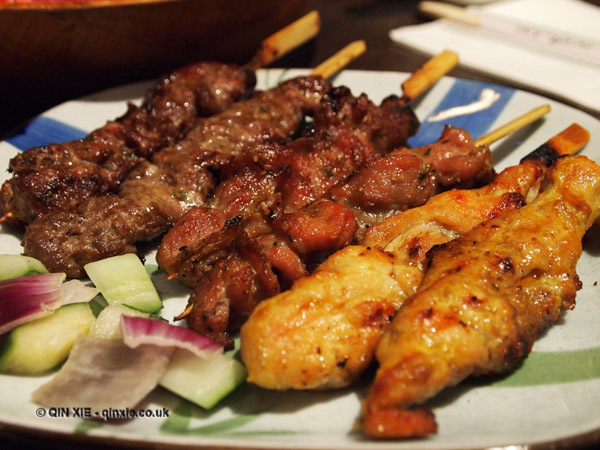 If you can brave the chillies, the pork in spicy soup is the thing to have but otherwise go for the milder lamb skewers. If you can’t handle spice at all then it’s probably best to go for something milder, like the soup-filled dumplings (Xiu Loung Bao) at Dumpling’s Legend. Each hot-pocket of deliciousness is hand made in the kitchen, to order, and comes in a whole selection of different flavours. There is an etiquette to eating these, I am told, for both grace and safety. You see the snowy steamed pastry holds a piping hot filling as well as its cooking juices, scoffing the whole thing in one go will surely leave you an injured tongue. So the thing to do is to carefully pick up the dumplings by their pointy top and place its base on to the Chinese soup spoon provided, then bite off only the top section in your first attempt. This will release some of the steam trapped inside and allow the cooking juices, or the soup, to cool a little. I suppose this helps you to savour the flavour too. For a real mixture of Chinese cuisine, both the spicy and mild, Leong’s Legend is a good choice. The menu isn’t extensive at this cosy little venue but you can order the Xiu Long Bao and some of the spicier dim sums too. But of course there are lots of others offering a similar selection in the vicinity. What is surprising is that it’s not all Chinese restaurants in Chinatown, there are also a fair few Japanese restaurants. Take Ikkyusan on Gerrard Street for example, it’s quite well known for shabu-shabu, a Japanese variation on the Chinese hot pot, but it also serves some impressive sushi. The “dragon roll” is the house special and tastes as good as it looks. And then there’s Sushi Ga Ga round the corner which serves sushi and ice cream in a much less informal environment. Neither is Chinese and yet, somehow, they feel quite at home in Chinatown. 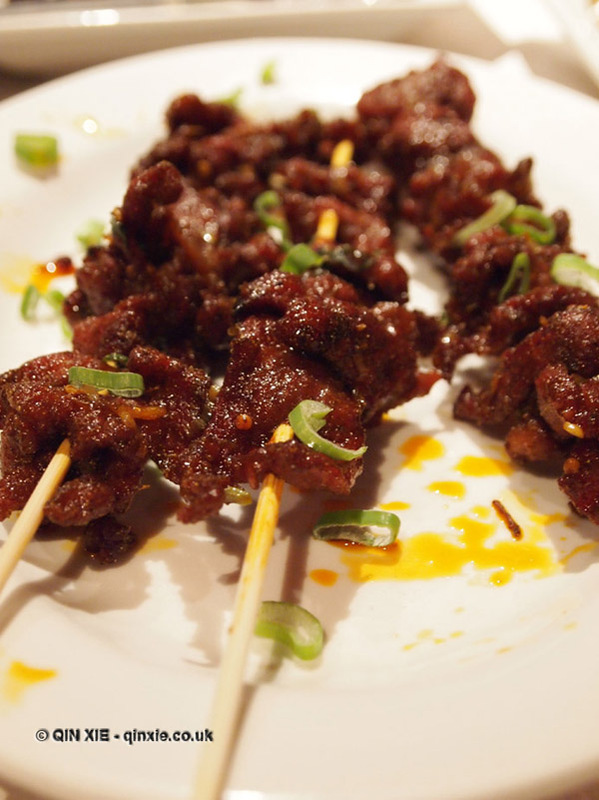 Am I pleased about these gastronomic discoveries in Chinatown? Definitely. The Chinatown today certainly serves up a much more impressive fare than it did some ten years ago. And with an abundance of other venues to explore, there’s plenty of opportunities for experimentation. As to whether I’ll be embracing Chinese restaurants from now on, I’m still not sure about that one. But at least I feel a little less afraid of venturing in and giving it a go.